There are more than just newsroom walls that stand between journalists and their communities. While community engagement in journalism is expanding, there are still volumes that journalists don’t know about how to work with communities. Similarly, as the public is brought more deeply into the journalism process, residents are grasping for a better understanding of how newsrooms functions, how editorial decisions are made and how to make their voice heard. Earlier this spring we published a post exploring what skills and knowledge both communities and newsrooms needed to build more lasting, sustained and reciprocal relationships. We believe that journalism, done right, should be central to the life of local communities, it should be relevant, inclusive and participatory. Through our journalism sustainability project at the Geraldine R. Dodge Foundation, with funding from Knight Foundation, we are embarking on a series of creative experiments in newsrooms and in communities to build bridges between the two. Our hope is that this work can transform local journalism, and make it more sustainable and directly useful to people’s lives. 1) What Do Newsrooms Need to Understand About Their Communities? · Newsrooms and journalists need to understand that they don’t “own the conversation” anymore. In fact, if you hope to “own” a conversation you probably aren’t doing conversation right. “Community is a conversation of readers to readers, as well as publications getting involved,” wrote one respondent. · Newsrooms ought to create feedback mechanisms that allow different parts of the community to honestly discuss local coverage. Another respondent wrote that many communities feel that “newsrooms aren’t paying attention or paying the right kind of attention” to their issues and concerns. Often those biases of which communities we cover and how we cover them stem from more than a “lack of resources” — they come from a lack of understanding of those people and places. “Understand the history of the city,” said another person. 2) What Are The Critical Skills Journalists Need for Engaging Communities? · Listening came up over and over in people’s responses to this question. Also mentioned were empathy, bipartisan thinking, partnering and transparency. In addition, one respondent suggested that there is an important set of skills related to crossing barriers and boundaries that journalists need to practice and adopt. “I think linguistic and ethnic barriers are not the only ones we need to engage across. Other barriers may include generation, income and access to technology. And probably others.” Another respondent pointed out that in niche and local journalism newsrooms may need to be able to assess where their ethical codes collide with the communities mores and norms. Journalists need to get “comfortable with close-knit relationships” and recognize that relationships with community are as messy as relationships within families. “Sources are also advertisers and story subjects and policy makers,” they wrote. 3) What Do Communities Need to Understand About Newsrooms? 4) What Are The Critical Skills Communities Need to Engage Newsrooms? · One respondent offered, “I think newsrooms should seek to teach and develop skills among the people in their communities.” For others, these skills included understanding how to amplify their own voice, how to cultivate spokespeople, develop powerful stories, and hone concise messages. 5) What Else Should We Be Thinking About? · How we can actually move people in and out of news and community spaces. Going out into communities is as important as inviting people into our spaces. If newsrooms are our church, let’s invite the community to pray with us, let them join our sermons. · Another suggested that as a field we need to think more about how we do deep engagement and relationship building with communities in transition and migration. How do you build bridges with your community when you community turns over regularly? · There were some interesting thoughts about how we map or track engagement with the community as we build relationships and stories. “Consider ways that the newsroom can convert conversations with community members into ongoing resource base for reporting.” How might we use CRM software to tag, categorize and better value and tap into community member’s expertise? How might we use CRM software to tag, categorize and better value and tap into community member’s expertise? We continue to welcome your thoughts and feedback on ways to build deeper relationships between news organizations and their communities. If this post helped spark some more ideas for you, please send them our way. 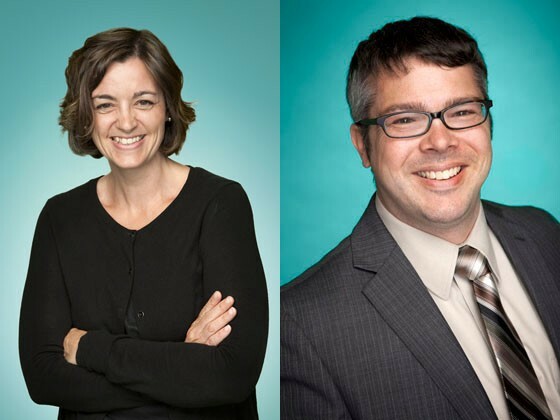 Molly de Aguiar is the Media Program Director and Josh Stearns is the Director of Journalism Sustainability project at the Geraldine R. Dodge Foundation.